I was recently experimenting with making adjustments to my Paint Brush tool under the "more" tab next to the "hardness" selector. After unsuccessfully creating a new brush, I reset the options. 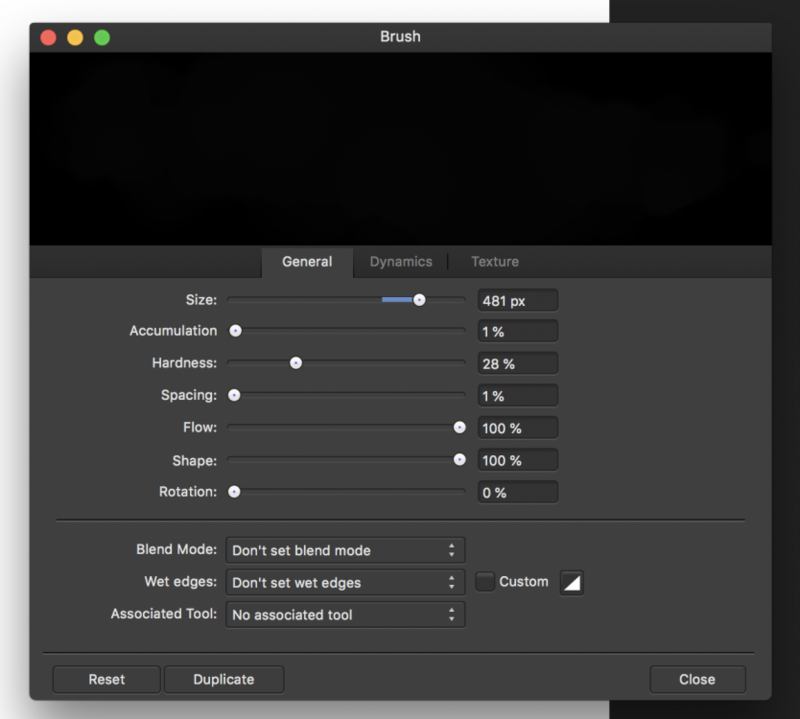 Now the brush tool does absolutely nothing. Doesn't work in masks, doesn't work by simply trying to paint different colors. Ive triple checked everything, opacity is 100%, flow 100%, Hardness adjustments, etc etc. I even uninstalled and re-downloaded the program to find that the brush tool is still not working. I attached a screen shot of the Brush "More" tab opened to see if that helps. 5) Do the brush settings look normal now like in the below screenshot? Also make sure that you have 'Protect Alpha' unticked in the Context menu at the bottom - this can sometimes catch people out. 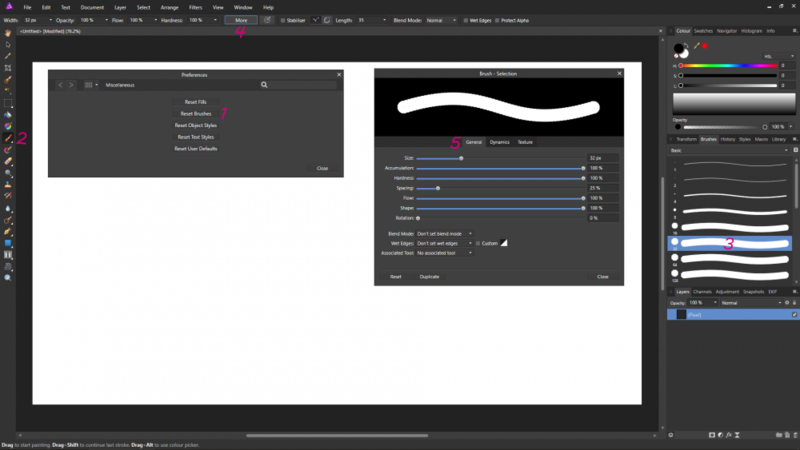 please help that picture above showing the brushes panel i do not see at all even when i click the brush ... why is that ... it was an issue i had when purchasing the program ... i cant see any option for brush strokes color etc. have another issue … is it not possible to have both the affinity photo and design ? I bought both of them and when I use one it work fine but when I go to use the other it say invalid product key even though I just used it a few days ago … so I reinstalled it put the products key in blah blah blah … then wanted to use affinity design and the same thing came up ! I don't want to have to keep reinstalling the software when I switch over from one to another please help ! By default, each app installs to its own folder. If you’re choosing a custom folder, make sure you don’t put both apps in the same one.